Mobile devices are ubiquitous today. The employees of enterprises prefer to bring their own mobile device (BYOD) developed on any platform like iOS, Android or Windows-based; tablet or smartphone and use them for both personal and business purposes. The use of mobile apps for the business purposes is referred as enterprise mobility. The business benefits of an Enterprise mobility solution extends across the entire firm at all levels like generic mobile office, field service management, and, etc. Some of the benefits include efficient management of remote and mobile resources; reduction in operational costs; enhanced service delivery; improvement in productivity; continuity of business; leverage the existing infrastructure; retain loyalty of the customers; acquire new customers; help the organisation to sustain the competitive market; provide the end users with the anticipated flexibility, and thus provides the tangible business benefits like return on investment at real-time basis. In today's busy life schedule, a concrete maintenance between the work and life activities is a dream for most of the people. The enterprise apps provide the necessary time for the employees to manage their work at a faster rate and reach home earlier. In addition, they may carry all the essentials home and complete their work after hours also. In this way, the employees may provide ample time at home and office without disturbing the assignments of either of the two. When the employees are provided with the appropriate tools to work, they are able to plan their workday as per their own call. This gives flexibility in work hours, freedom in the work environment, the choice of a way to work, and so forth. This freedom to personalize the task reduces the work stress of the employee gives ample opportunities to work smarter and manage the time more efficiently with all freedom. This mindset of the workforce paves the way towards innovation. The employees are familiar with the tools an enterprise would offer them in an another way round. They are used to the mobile functionalities before hand. 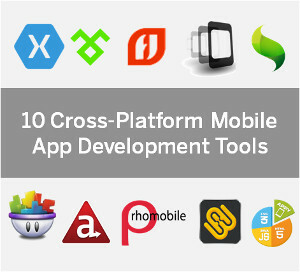 The familiarity in the usage of the mobile tools and its implementation in the office will be a smooth transition. They will the happiest persons in the world and are bound to work efficiently with their preferred devices. As a result, the organizations are going mobile irrespective of their business sizes and are managing, maintaining, and keeping the employees happy and productive without additional costs.